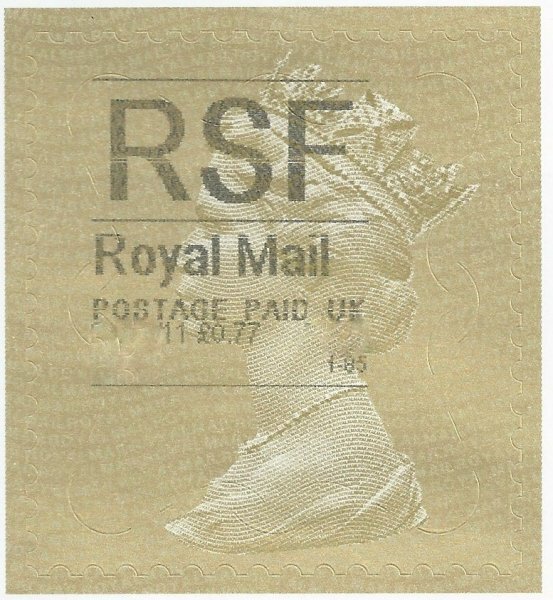 « New Discovery!-Post and Go stamp security overprint missing! 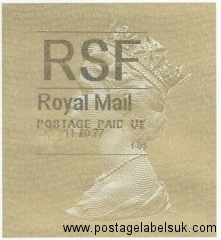 In a widely expected change and to simplify the transaction, on Monday 18th April the Gold Machin Label identifiers ‘MOR’ and ‘RPR’ were discontinued. A new identifier ‘RSF’ was introduced for circumstances ugateamunited.com/online/ where a ‘Home Shopping Return’ requires a ‘Recorded Signed For’ add-on. This means that a max value of 77p is possible. This entry was posted on Friday, April 22nd, 2011 at 9:45 am	and is filed under Clerk Printed Labels, Postage Labels. You can follow any responses to this entry through the RSS 2.0 feed. You can leave a response, or trackback from your own site.